We are a leader in the tutoring industry in Vancouver due largely to our unique and guaranteed “A+ System” for aligning the student with the most effective Learning Mentor (tutor) to achieve results. The “A+ System” ensures success through an initial Assessment for the student’s specific needs and goals. 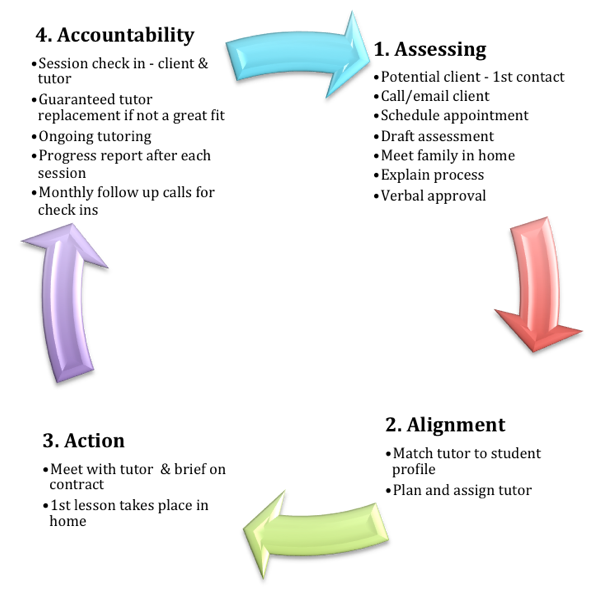 A Learning Mentor (tutor) is selected based on specific Alignment with the student needs, the student and Learning Mentor(tutor) take Action and begin the education process and ongoing progress and results are measured to ensure Accountability.